I keep noting that we are now reaching the point where we find out whether quantum computing is all a big fraud. The supposed smart money has been saying that we would have quantum supremacy by the end of this year, 2017. If we still don't have it a year later, then journalists are going to start to wonder if we have all been scammed. So then and there, I swore an oath to my family: that from now until January 1, 2019, I will be on vacation from talking to journalists. This is my New Years resolution, except that it starts slightly before New Years. Exceptions can be made when and if there’s a serious claim to have achieved quantum supremacy, or in other special cases. By and large, though, I’ll simply be pointing journalists to this post, as a public commitment device to help me keep my oath. I should add that I really like almost all of the journalists I talk to, I genuinely want to help them, and I appreciate the extreme difficulty that they’re up against: of writing a quantum computing article that avoids the Exponential Parallelism Fallacy and the “n qubits = 2n bits” fallacy and passes the Minus Sign Test, yet also satisfies an editor for whom even the so-dumbed-down-you-rip-your-hair-out version was already too technical. His point here is that explanations of quantum computing often say that a qubit is a 0 and 1 at the same time, like a Schrodinger cat is dead and alive simultaneously, and therefore searching multiple qubits entails searching exponentially many values in parallel. Scott insists on telling journalists that it is possible that quantum computers will occupy a complexity class that is faster than Turing machines but slower than full exponential search. He even gave a TED Talk entirely devoted to making this obscure technical point. I don't know why this silly point is so important. 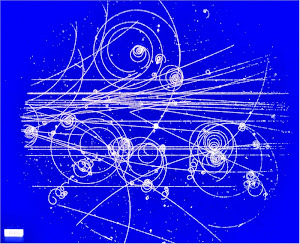 It is true that quantum computers get their hypothetical power from entangling 0s and 1s. Scott is one of the few experts in this field who are honest enuf to admit that quantum supremacy has not been achieved. My guess is that he just doesn't want to be a professional naysayer for all his QC friends. He doesn't want to be the one quoted in the press saying that some over-hyped research is not what it pretends to be. Note that he is willing to talk to the press if someone really does achieve quantum supremacy. His other gripe about the "Minus Sign Test" is just as ridiculous. He says that an explanation of quantum mechanics should explain that particles have wave-like properties, including destructive interference. He doesn't quite say it that way, because most explanations do mention destructive interference. His specific gripe is that he wants the destructive interference explained with an analogy to negative probabilities. The trouble with his version of quantum mechanics is that there are not really any negative probabilities in quantum mechanics. The probabilities of quantum mechanics are exactly the same as classical probabilities. 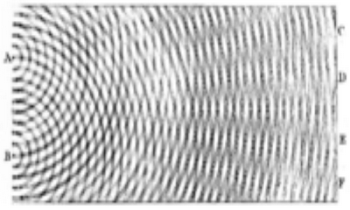 The minus signs are wave amplitudes, and destructive interference occurs when two amplitudes meet with opposite signs. This is a property of all waves, and not just quantum mechanical waves. I think that he is misleading journalists when he acts as if minus signs are the essence of quantum mechanics. If any journalists get rejected by Scott and call me instead, my answer is simple. If a researcher claims to have a quantum computer, then ask for a peer-reviewed paper saying that quantum supremacy has been demonstrated. Otherwise, these guys are just making Turing machines. I received an email from a physicist colleague suggesting that we might be near a "tipping point" in quantum computation. Yeah, that is what the quantum computer enthusiasts want you to believe. The big breakthrough is coming any day now. I don't believe it. I think he knows in his heart that it is close to "game over" for quantum computing. His vow of not talking to journalists is a very smart way of preparing for this reality. Sometimes it is better to keep one's mouth shut. IBM actually simulated a 56-qubit machine but it runs slower. For a lot of applications, like quantum annealing, we already have FPGAs that go faster. Snore. I meant "50 qubit working quantum computer".